Get Free Foundation Evaluations On Slab, Pier And Beam Houses. Our foundation inspections in Dallas, Fort Worth, Arlington, Plano and the DFW metroplex are thorough. Our company performs foundation evaluations on concrete slab foundations as well as pier and beam houses. To determine if you need commercial or residential service, schedule a free foundation inspection in the Dallas, Fort Worth, Arlington areas today. First we’ll examine the interior of your house. Concrete slabs and pier and beam foundations often develop different issues. Next, we’ll check the exterior. 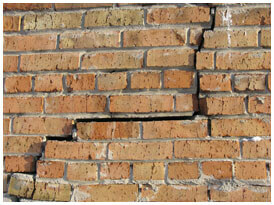 Our inspection involves visually checking for plumbing leaks, wall cracks, exterior brick fractures and soil problems. If your slab foundation is heaving (moving in an upward fashion), that is a good indication that you have plumbing leaks or other water issues. You may want to review information about what a house foundation inspection involves. If your walls are sloping, your floors are uneven or your doors are misaligned, this signifies foundation trouble. 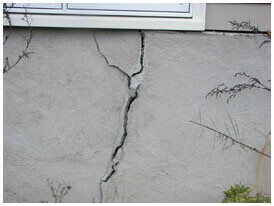 As part of performing concrete slab foundation inspections, we check for foundation cracks. We also verify that your Fort Worth, Dallas or Arlington area house foundation is stable. When we do pier and beam foundation inspections, HD Foundations scrutinizes the crawl space under your house, apartment or commercial structure. We’ll examine the inside your home, too. At HD Foundations, we use a state-of-the-art Zip Level to get an accurate reading and determine if your house is unlevel. Our equipment is accurate up to 1/10th of an inch. It typically takes approximately one hour to inspect a foundation. In the event your house is empty and we can get inside of it, you do not need to be present for the inspection. If you’re living in the structure, we will need to meet with you in order to gain entry. That’s all part of fully evaluating concrete slab foundations and pier and beam houses. After performing a free foundation evaluation on your Fort Worth, Dallas, Plano or Arlington area house, we’ll tell you what our inspection uncovered. Our report will include the number of foundation piers, block and base supports and wooden members (on pier and beam houses) that we believe should be installed. We might recommend a re-shim. 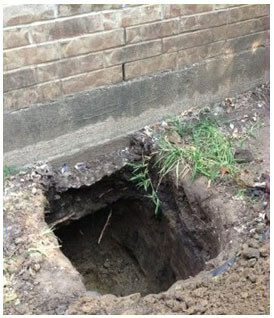 If foundation repair is required, HD Foundations will present you with a free estimate on your foundation. If an engineer’s report is needed, HD Foundations can enlist an engineer to prepare one for you. Or, you may hire choose an engineer of your own. It’s easy to go online and schedule a free repair estimate and foundation inspection in Dallas, Fort Worth, Arlington, Plano or elsewhere in the DFW metroplex. Or, if you prefer, please just phone us.